With money tight and furniture prices rising, homeowners are actively looking for ways to get the items that they want on the cheap. Cue the upcycling revolution, where furniture is repurposed or its appearance is revived. 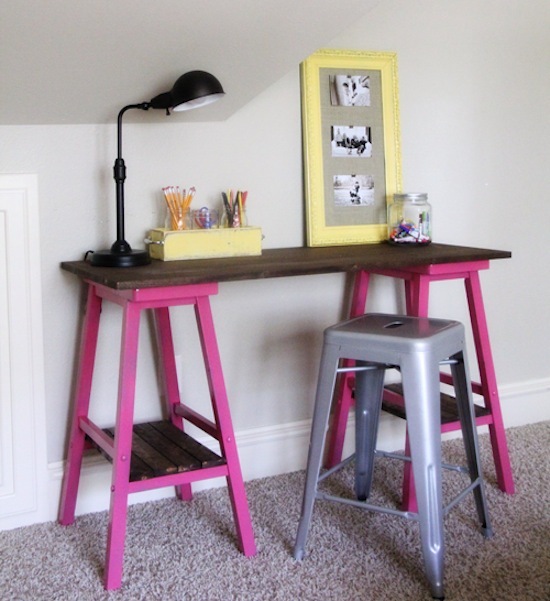 This article celebrates the best of furniture upcycling across 2013, providing inspiration for your own personal DIY projects and ideas for making the most out of your furniture. Built from a home entertainment cabinet – which typically houses games consoles, DVD players, a television and other media – this kiddy kitchen is ideal for the budding Gordon Ramsay or Lorraine Pascale in your life. Strip away the varnish and paint it in your little chef’s favourite colours. Print out a windowpane decal for the back wall of the cabinet, to give the kitchen some atmosphere, and use a little fabric to create some curtains. Don’t forget to add a sink, tap, and some hob rings to the main area of the cabinet, to make it feel like their very own little kitchen! Desperate for an island in your kitchen but can’t afford the cost? Why not upcycle an old bedroom chest of drawers, for a unique storage and surface solution? Strip the cabinet back to its wood, and then paint it in your colour of choice. Add on a kitchen roll holder, and some hooks for utensils, along with a marble slab to protect the surface of the cabinet. For extra pizazz, you could exchange the existing handles for some aged vintage ones. 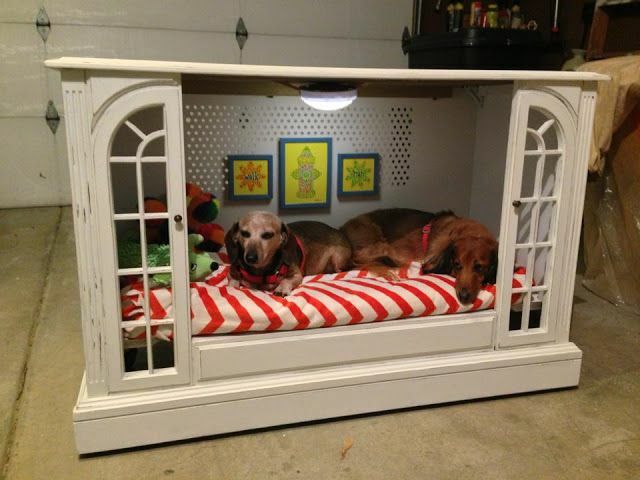 If you have a particularly large television cabinet that you no longer need, why not repurpose it into a doggy bedroom? Ideal for the pampered pooch in your life, this dog bed gives them a place to relax and sleep that is both comfortable and beautifully designed. Remove the doors and fill in any holes. Paint the cabinet in the colour of your choice, and the cover an old duvet in some quirky fabric to create a comfy pillow for your canine. For a little extra design flair add some dog themed artwork and shelving for their toys, so that your puppies can dream in their very own bedroom. With children growing at such an incredible rate, it can be costly to ensure that their sleeping arrangements are suitable for them. So why not just extend their existing cot into their very own ‘mini double bed’? Grab a warehouse palette from your local DIY store, and paint it to match the cot. Remove the sliding wall of the cot, and position the palette under the newly opened side. 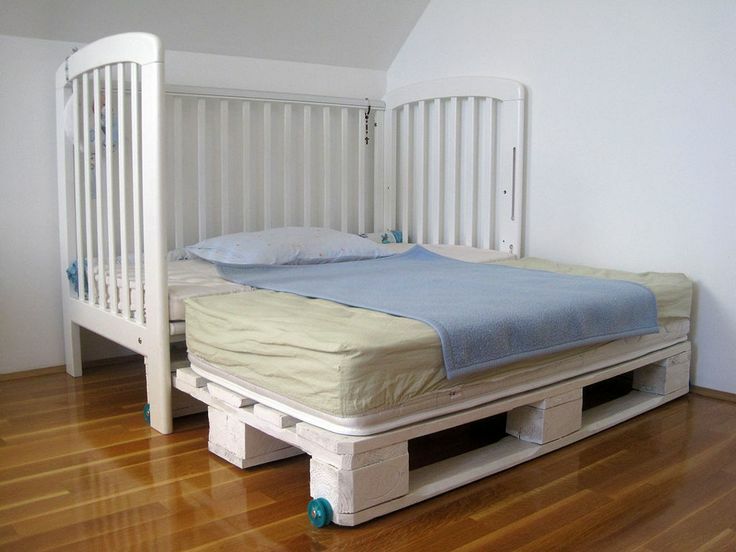 Add on another cot mattress atop of the palette, and then dress the bed as normal. Et voila! You child has their very own, grown up, three-poster bed! 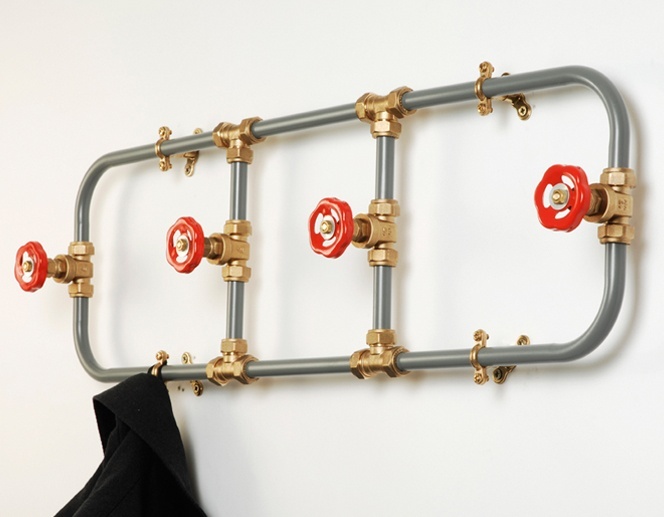 If you’ve just dismantled your bathroom in preparation for a new one, don’t throw away the pipes and accessories – turn them in to a coat rack! Give all of the pipes a good wash with warm soapy water, and then spray paint them in a colour of your choice. Bend the pipes so that they form one continual network (as shown in the image) and then ‘plumb in’ the taps and other accessories to form the coat hooks themselves. It is guaranteed to catch the eye of your plumber friends! Barstools can make great foundations for a unique office desk. If you or a friend has a couple lying around, paint them a funky accent colour, and then top it with suitably wide plank of wood. For extra stability screw the wood into the top of the bar stools, and then place your desk organiser, lamp and stationary on the desk. For extra storage, place sections of wood across the stools’ footrests to form open shelving for your paper, notebooks and other office essentials. 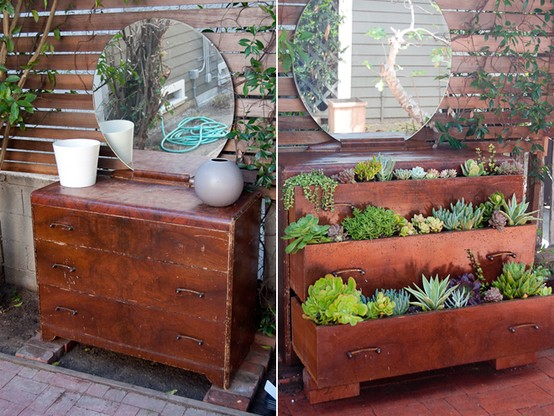 Old bedroom drawers can make wonderfully unique planters for the garden. Line each drawer with compost, and then plant a selection of small shrubs and plants in each drawer. If you stagger the drawers’ openness, you can create a beautiful, tiered planter that is guaranteed to be the focal point of your garden throughout the year. You may also find it useful to treat the external wood with a wood stain, as this will prolong the life of your planter, keeping it safe from the elements. 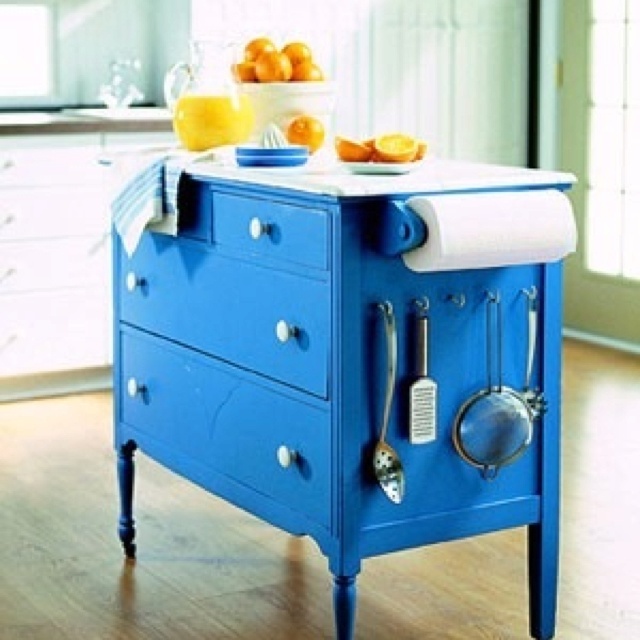 Home furniture can be upcycled in many more ways than have been listed here. 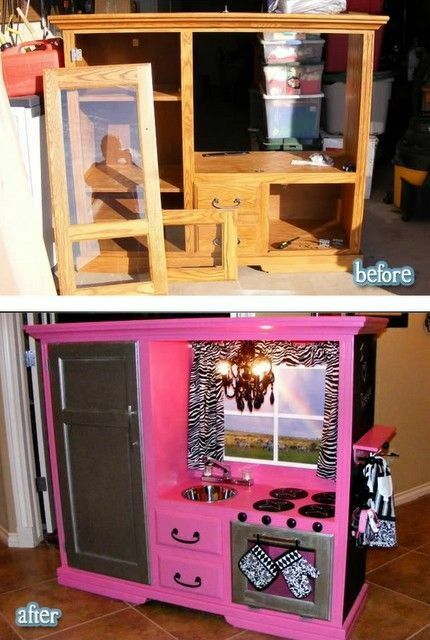 Get creative, and don’t forget to share your upcycled creations with the world when they’re complete! We hope that this has given you some excellent inspiration to get involved in the upcycling revolution, and to lead a more sustainable, recycling lifestyle! Alex works for http://jamesmayorfurniture.co.uk/ and loves dream shopping for designer furniture and anything to do with interior design. Upcycling is her current obsession.